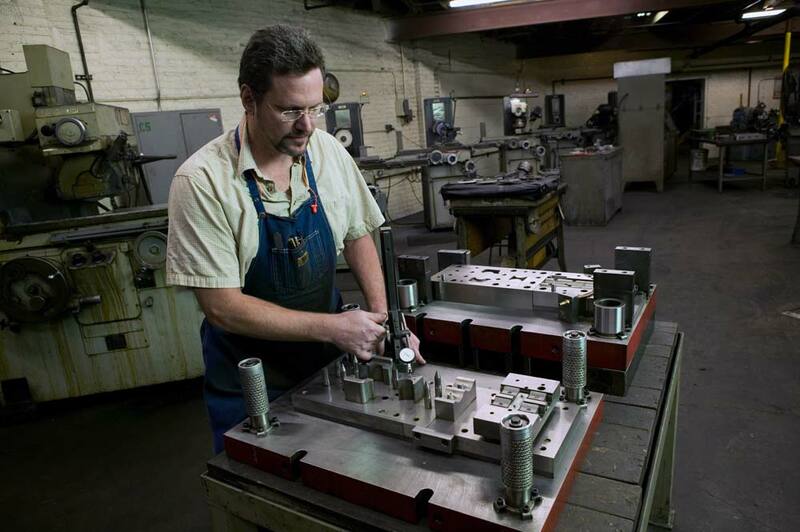 We’ve built over 160,000 sets of tools, which are carefully maintained in inventory – readily available to produce parts in a vast range of shapes, sizes and types. Some Products have washer-like configurations but have functionality that differs from a traditional washer. We have the capability to modify existing designs to meet your needs. 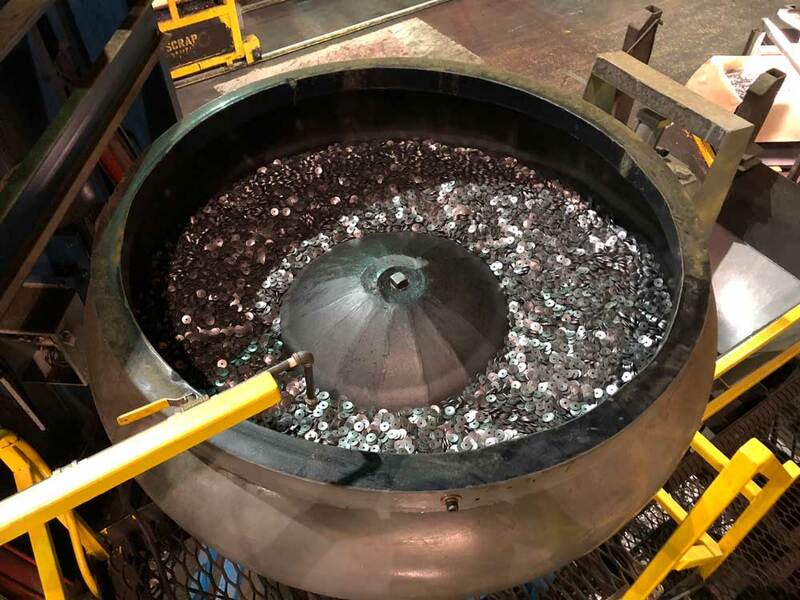 If you need your custom washers to be heat-treated, Wrought Manufacturing provides heat treating including case hardening, carbon nitride, quenching and tempering. Learn more about our in-house heat treating capabilities. Get custom washer projects from start to finish all from a single source. 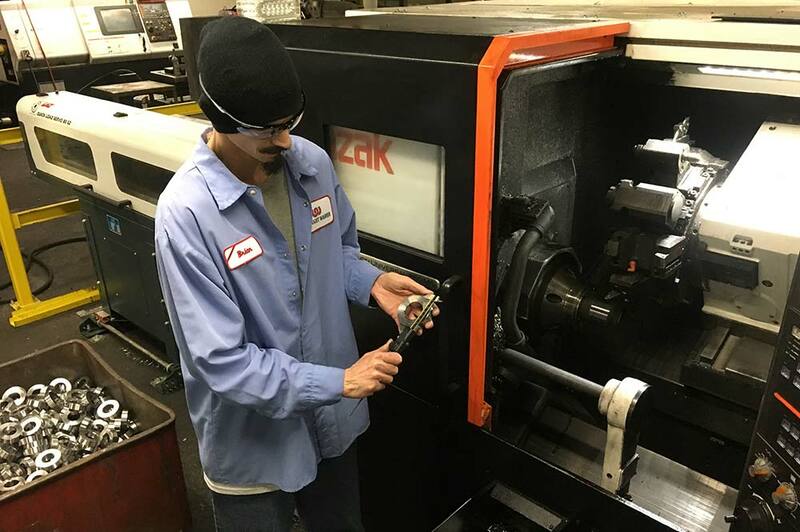 With our CAD/CAM services, Wire EDM Cutting, CNC Machining, CNC Turning and Laser centers, we can handle all aspects of your custom washer project in our QS-9000 certified facility. For many projects, short runs are all that is required to meet demand. 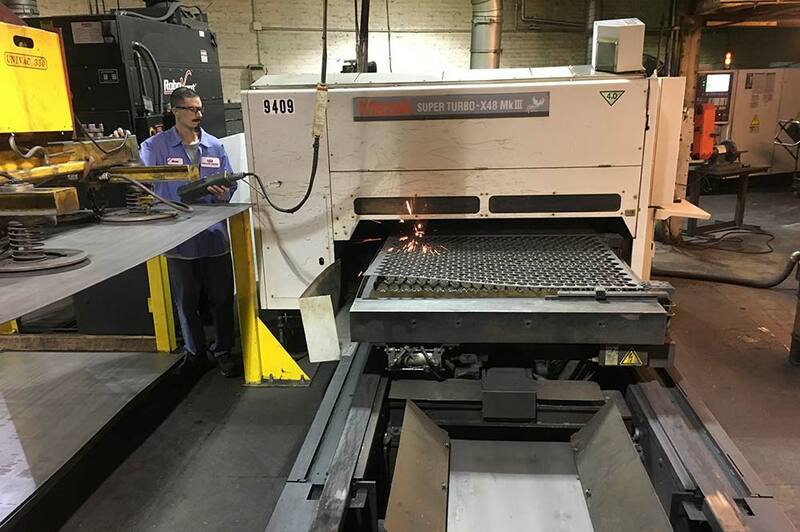 Wrought Manufacturing’s high-speed laser cutting equipment is the right solution for the quick turn-around and flexible scheduling that is necessary to meet short-run and prototyping needs for custom washers. Not all washers look alike, whether it be shape, size or appearance. 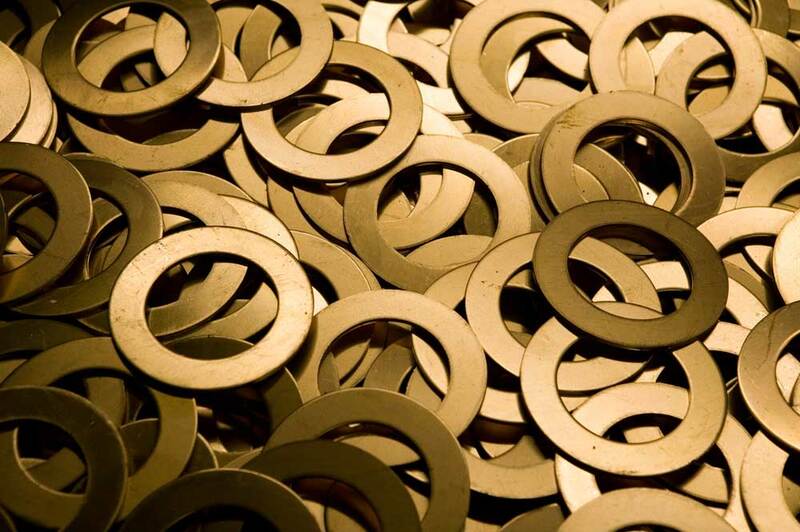 Wrought Manufacturing can create your custom washers and stampings with a variety of finishes. From hot dip zinc galvanizing, copper, nickel and tin plating to anodizing aluminum and passivation of stainless steel and much, more! 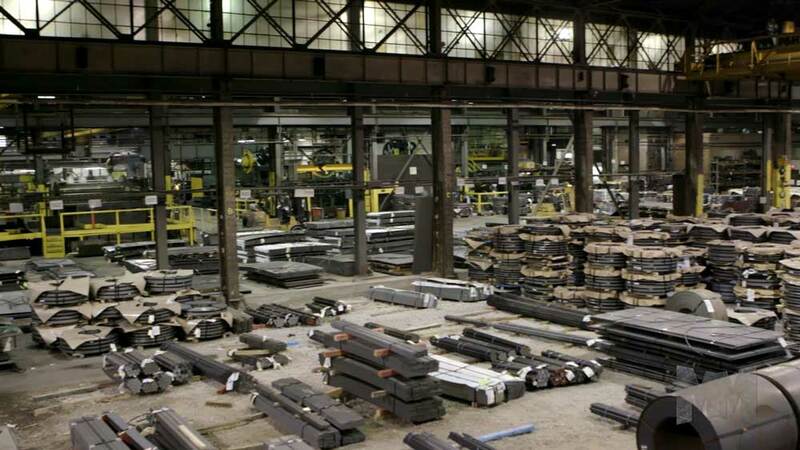 Wrought Manufacturing stocks over 12 million pounds of raw materials of various grades and gauges. This helps keep costs down and lead times short where other manufacturers need to order custom materials and wait for their arrival before beginning your custom washer project. 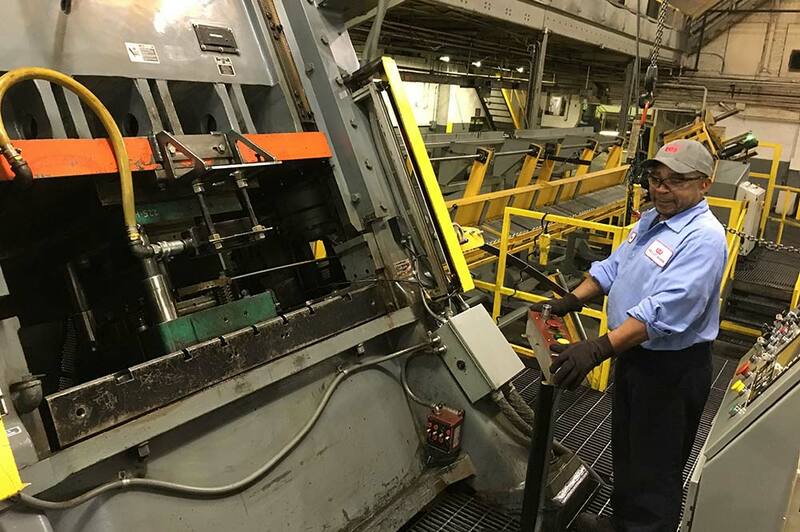 Wrought Washer has a quality and cost effective way to ensure that your parts are within near-zero defects. 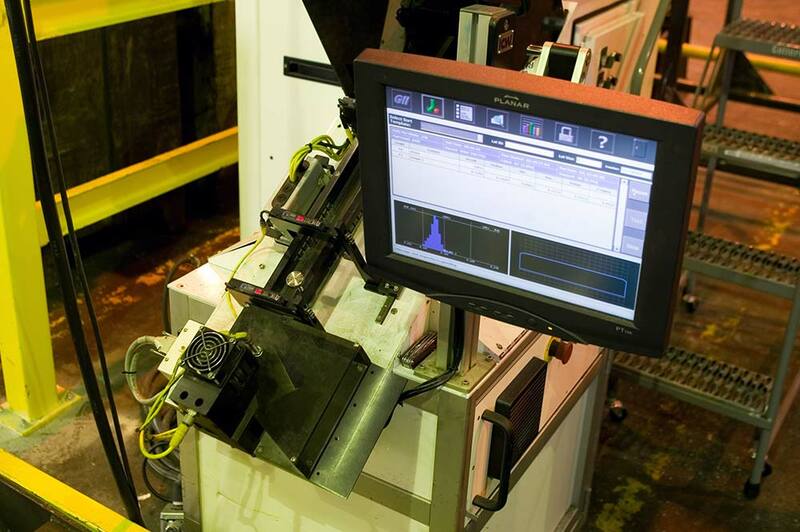 Our laser/optical sorting machines can process a wide range of dimensions and tolerances. With our customized packaging options, your product arrives at your door, ready to ship to your customer. We handle packages both small and large.